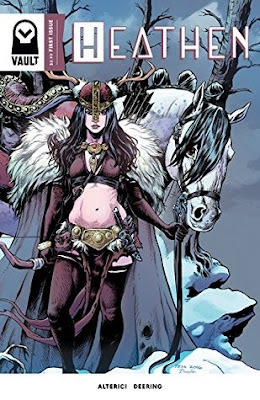 Here’s something epic for you while we’re nearing the end of the week: as ‘Deadline’ reports today, Constantin Film and Prime Universe will t urn Natasha Alterici‘s female Viking comic book HEATHEN into a movie. The second volume of the graphic novel should be out in July. It tells the story of a young Viking warrior named Aydis. An outcast and self proclaimed HEATHEN Aydis is a woman born into a time of warfare, suffering, and subjugation of women. She takes on a quest to end the oppressive reign of the god-king Odin, and break the shackles imposed on the women around her. Oh, and she’s lesbian.